The origins of combat jujutsu stretch back over half a century. In 1942 Antonio Pereira, a young American soldier, was participating in a hand-to-hand demonstration. When ordered to punch one of the instructors in the face, he complied, only to find himself whipped around into a chokehold. During World War II, Pereira learned as much as he could about specialized combat methods. He continued to experiment and practice with the techniques, refining them sometimes under life and death situations. His fierce resolve and dedication won him many honors. 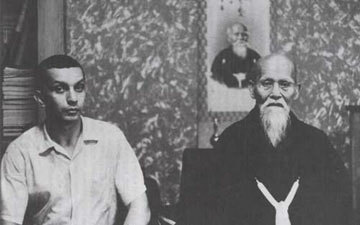 Among them were, a teaching certificate from O-Sensei Ueshiba (son of the founder of Aikido), and a Ni dan in Judo from the Kodokan (the birth place of Judo). Pereira returned to the United States and resumed teaching at the Tremont School. 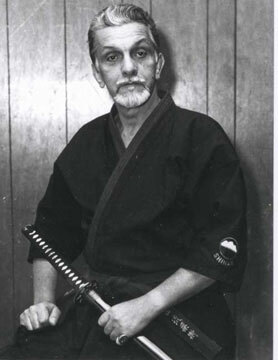 Periera would later earn a San Mokuroku in Sosuishitsu Ryu Jujutsu, a Koryu (Jujutsu), from the then current Headmaster Professor Shitama. In 1973 Pereira researched the classical ranking system of Japanese systems. He decided to use the ranking structure and nomenclature of the Japanese martial arts, both classical and modern. He took the title of Shinan, which means originator. Not only is Miyama Ryu Combat Jujutsu taught to civilians, but it has been used in the design of courses for United States Federal agents and taught at police and law enforcement academies across the world.